Evidence from the PastÃœintroduces students to the work of the Argentinean paleontologist Rodolfo Coria. 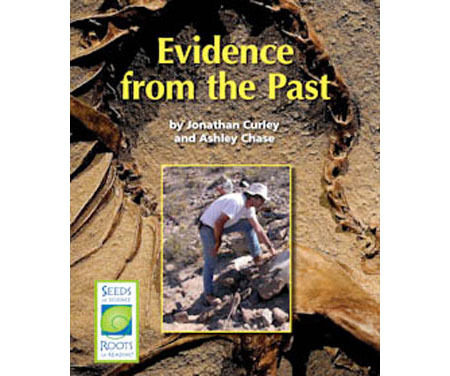 By reading about Professor Coria and his work, students get a glimpse of what an actual paleontologist does and how paleontologist use evidence to make inferences that help to explain how species lived long ago. The book follows Coria as he makes a series of discoveries about two important dinosaurs found in Argentina. 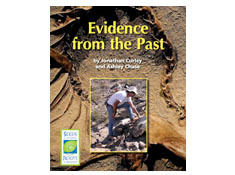 It focuses on Coria’s evidence collecting through his fossil discoveries and the scientific explanations he constructs along the way as he reviews his evidence and revises his explanations based on new fossil evidence he finds. This book models both the nature and practices of science through following Professor Coria and his work.